For more shortcuts, refer to WordPerfect Help > Index > Keyboard shortcuts. WordPerfect is a word processing software and has a long history on several computer platforms. In 1980s it was very popular with its availability on a wide variety of computers and operating systems. 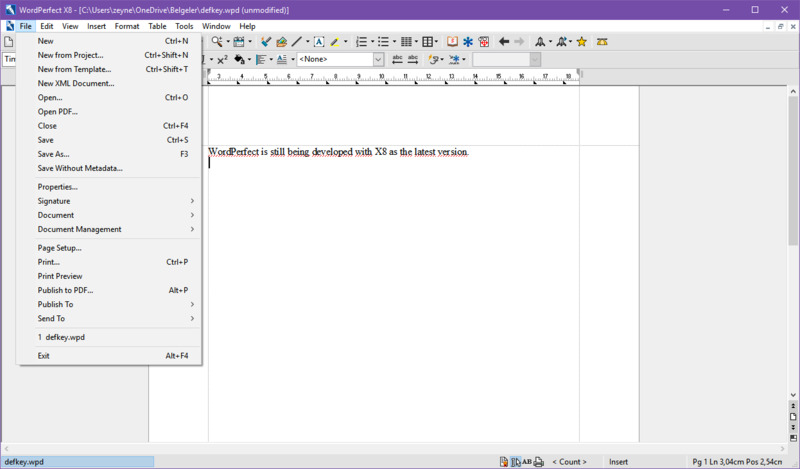 WordPerfect used .wpd extension for document files. What is your favorite WordPerfect X8 hotkey? Do you have any useful tips for program? Let other users know below.